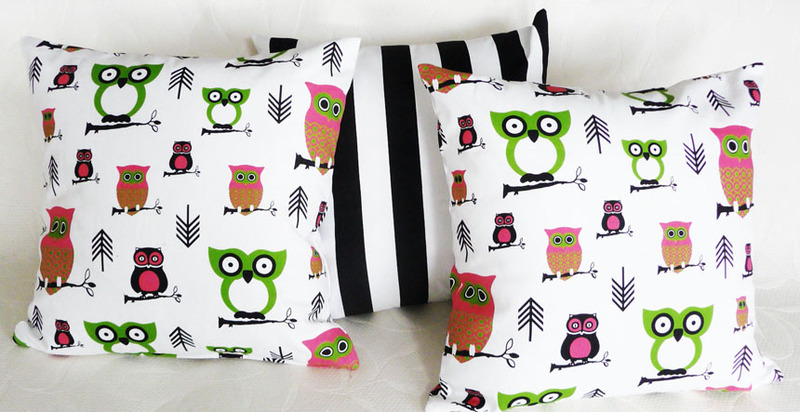 Owls are all the rage in children’s decor so of course I couldn’t resist making these sweet owl pillows. While I was thinking about my own grandchildren’s bedrooms, I wondered what other fun things I could add to their decor. Checking out some of the handmade halls on Etsy I found some absolutely priceless treasures. And here are some love-birds sitting in a tree… delightful wall decal! Do you have anymore owl ideas? Hi Jennifer! 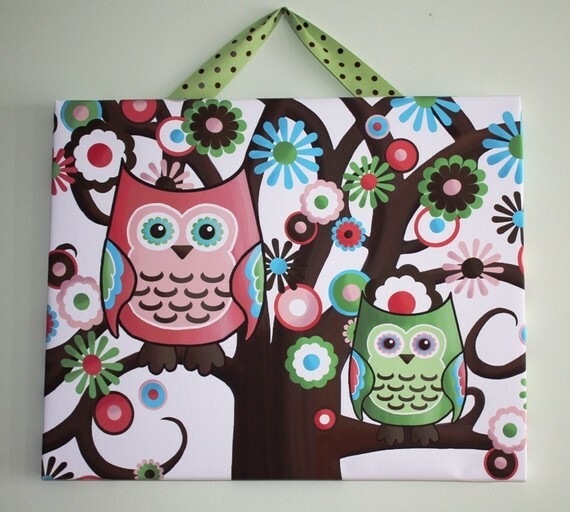 Your owl canvas is amazing as is all of your work. It was fun to have a peak between the pages at your Etsy store! These owls are adorable! My 2 yr old neice would love them. very cute items, thank you so much for including our decal in your blog! 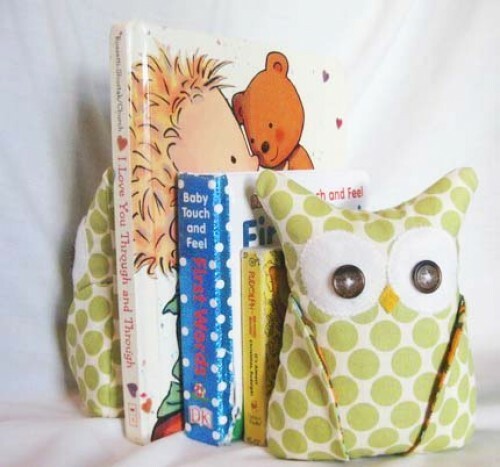 I found you on the blog hop and now Im following you! Please check out my blog and follow me, http://toesthattwinkle.blogspot.com/ I also wanted to say how much I love your blog and reading the posts! Those are awfully cute! Well matched stuff! I love owls! 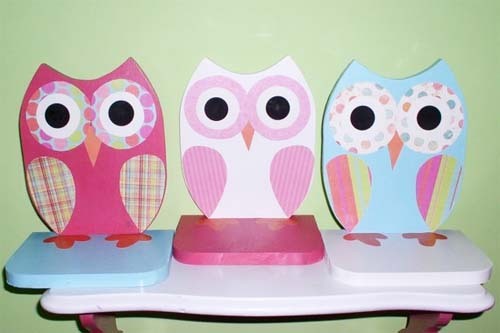 I would love to use some of these ideas in our baby girl’s nursery. Thanks for stopping by my blog and for following! I’m following you back! I like owls too. I have 2 small brass owls (from the 70s of course) standing guard on my book case. Bad Behavior has blocked 423 access attempts in the last 7 days.